Gospel artiste and Apostolic Faith Mission pastor Charles Charamba last week graduated from Africa University with a Bachelor of Music Degree in Ethnomusicology. Pastor Charamba, who had been studying for the past four years, successfully completed the degree last month and was capped on Friday at an event that was attended by many families. He joins the rank of other hardworking musicians who have had to enhance their musical projects by enrolling for different degree programmes over the years. The Fishers of Men frontman has been doubling as pastor and musician for years. 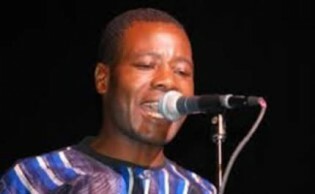 Due to his studies, Baba Charamba, as he has come to be known, had drastically cut down on live shows. Together with his wife Pastor Olivia and the Fishers of Men has a long list of albums that include chart toppers “Vhuserere”, “John 3:16”, “Chapters and Verses” and “Exodus”. His latest offering titled “Pashoko Pangoma” features hit songs “Moriya Ineminana”, “Jehovah Ndiye”, “Mviro Mviro (Part 3)” and “Regera Kundisiya”. Besides the hits, Baba Charamba is known for his emotional performances on stage. People who have seen him perform can testify to being touched by his spiritually uplifting songs. At each performance he connects well with the audiences and commands a huge inter-denominational following. On the other hand, Mai Charamba, who started off as a backing vocalist for the Fishers of Men, has become a powerful force in the gospel band. She boasts three albums under her belt, “Amen”, “Daily Bread” and “Gospel”. Her repertoire includes hits like “Rute”, “Zvanga Zvakanaka” and “Africa Restore Identity”. Charles and Olivia have truly used their sungura-inspired beat as a medium through which they reach out to their fans.